Farmers’ markets are an important part of Virginia’s local food system. They enhance the rural economy while supporting farmland preservation. These markets deliver healthy eating options for patrons by providing access to fresh, locally grown fruits and vegetables, and they can serve as an economic and social bridge between Virginia’s urban and rural comminutes. Farmers’ markets are an integral component of Virginia agriculture, the Commonwealth’s number one industry, and Governor McAuliffe has designated August 6-12, as Virginia Farmers’ Market Week to recognize their important role in the Commonwealth. According to a 2017 economic impact study by the Weldon Cooper Center for Public Service at the University of Virginia, agriculture has an economic impact of $70 billion annually and provides more than 334,000 jobs in the Commonwealth. Virginia has nearly 250 farmers’ markets today (compared to 88 in 2006) with 3,500 farmers selling directly to the public. In honor of Farmers’ Market Week and to encourage healthy eating by all Virginians, the Virginia Food Access Network (VFAN) has posted new sets of data illustrating the availability of farmer’s markets that participate in federal nutrition programs. VFAN was established as an initiative of the Commonwealth Council on Bridging the Nutritional Divide under the leadership of First Lady Dorothy McAuliffe. The tool is designed to accelerate efforts, connect partners and share resources to end childhood hunger in Virginia and strengthen the local food system. More information can be found at www.vfan.org. Virginia Governor proclaimed August 6 – 12 as Virginia Farmers’ Market Week to highlight the valuable role of farmers’ markets in citizens’ lives; a national celebration occurs each year the first full week in August. Virginia’s markets have experienced dramatic growth in the last few years, from 88 in 2006 to more than 250 today. The most recent Census of Agriculture found that more than 3,500 Virginia farm operators sell directly to consumers. Consumer spending at farmers’ markets keeps money circulating within the local economy and in urban areas, they can provide rare, affordable access to fresh fruits and vegetables. VDACS maintains a list of Virginia farmers’ markets on VirginiaGrown.com. Users can search by county, zip code or product. Virginia farmers’ markets are invited to add or update their listings on the Virginia Grown web site. VDACS also offers a rewards program through local markets so that people who spend at least $10 a week over the course of a summer may enter to win a Virginia Grown gift basket. 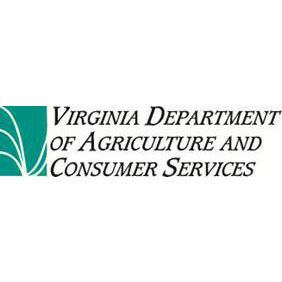 Market managers, vendors and consumers are encouraged to follow VDACS on Twitter, Facebook and Instagram and go to VirginiaGrown.com for more information.